Harry is taking Penny to a magical fairytale land on their first date! 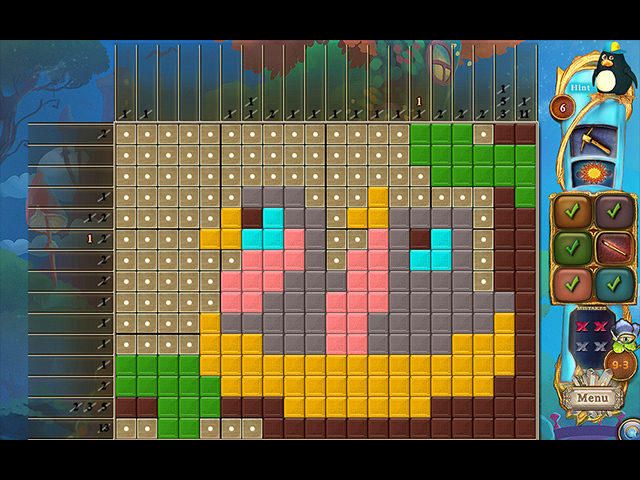 They are sure to discover some fresh new colors along the way! 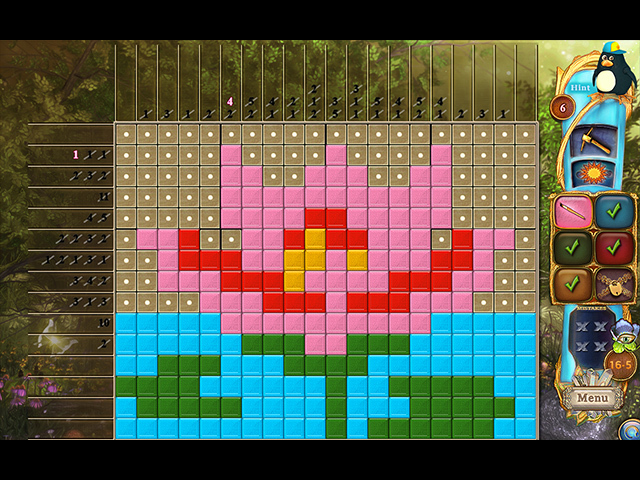 Help explore this new land and meet its fun inhabitants while solving new colorful puzzles. 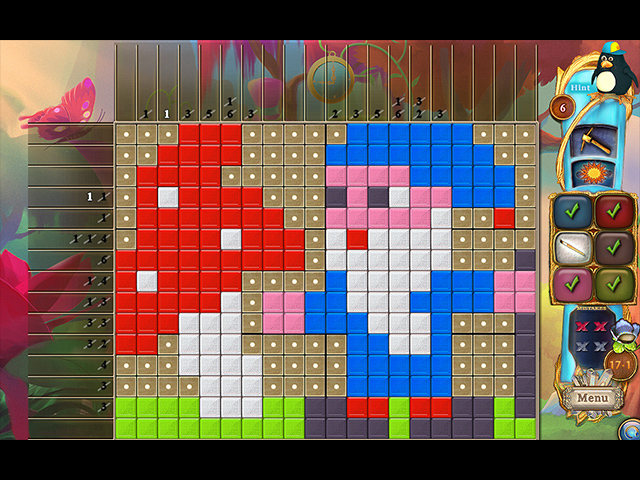 Unlock the new colors and discover the images encoded in the fabric of logic! 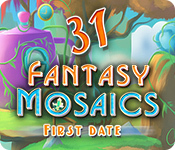 If you like Fantasy Mosaics 31: First Date game, click to start Fantasy Mosaics 31: First Date download.